Three ambient colors harmoniously transition. This night light is a wonderful nighty-night aid as its LED light sheds a warm ambience in the dark. A irresistible eye-catcher, too. 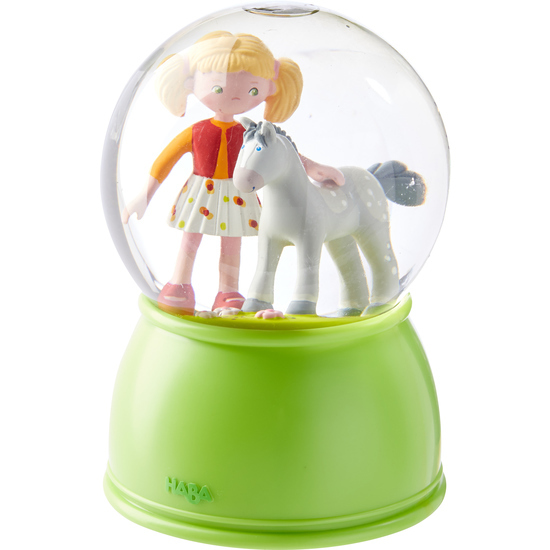 One good shake and Milla and her foal are surrounded by oodles of swirling glitter. And when the battery is running, the glitter swirls without shaking. Batteries not included (3x 1,5 V AA).